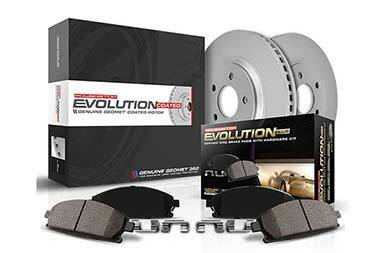 Power Stop Z17 Brake Kit - Rotors & Ceramic Pads - FREE SHIPPING! Z17 Clean-Ride ceramic brake pads feature low-dust braking performance that is validated through on-vehicle, 3rd party tests in the USA. Dual layer high temp rubberized shims insulate noise for virtually silent braking and include stainless steel hardware where applicable. 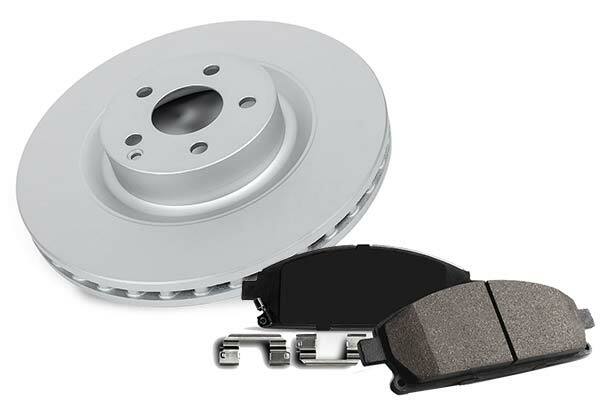 Brake rotors are fully coated using genuine GEOMET® coating. The coating is applied on the surface as well as inside the vanes for maximum, long-lasting protection against rust and corrosion and maintains that great look behind open wheels. Reference # 753-507-451 © 2000-2019 AutoAnything, Inc.